Brooklyn-based insurance lawyer James Donovan (Tom Hanks) is thrust into the center of the Cold War when his firm tasks him with defending suspected KGB spy Rudolf Abel (Mark Rylance). 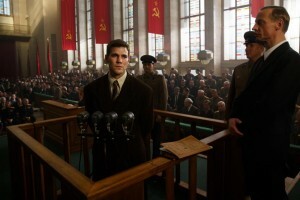 Since the Soviet Union could use Abel as propaganda, the United States government wants him to have a fair trial, but they do expect a guilty verdict, given his refusal to cooperate and the evidence against him. To just about everyone’s surprise and consternation, Donovan takes his task seriously and mounts a strong defense of Abel, and he persists despite the hatred and threats directed at him and his family. 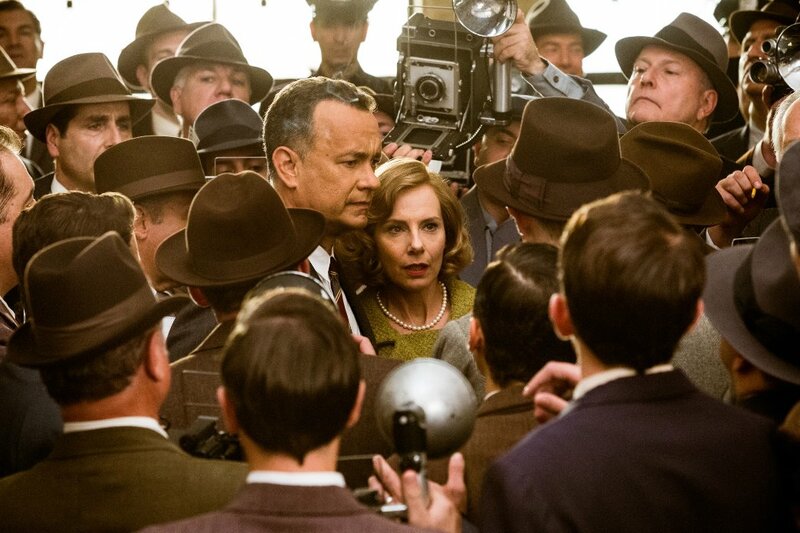 Although Spielberg is recreating a series of events from the ’50s and ’60s here, the film is quite relevant and addresses the current political climate. The fear of the Soviet Union – reproduced in some fascinating sequences – and the public support for Abel’s conviction seem synonymous with the attitudes taken against Muslims now (which, thankfully, isn’t as widespread). The CIA’s readiness to ignore the Constitution and emphasize safety calls to mind the Patriot Act and the USA Freedom Act. As for the treatment of individuals as information houses and symbols of their respective governments or philosophies rather than human beings, well, I’m sure you don’t have to look far for modern examples. Spielberg’s answer to all this political muddle lies in Donovan himself, who espouses the tenets of the Constitution, who is patient with people and deliberately slow to judge. It’s a role that perfectly suits Hanks, who slips into the role and effortlessly makes him so likable with his honesty and trustworthiness, much like James “Jimmy” Stewart and Gregory Peck were in their movies. He brings the spirit of the character and story – well over 50 years old – to life so that it can interact with a contemporary audience. Though the story is definitely engrossing as a whole, it must be to compensate for its fragmented nature. There are actually two distinct stories being told here: Abel’s trial and the eventual prisoner exchange between the U.S. and the Soviet Union in Berlin, with Abel going to the Soviets and downed U-2 pilot Francis Gary Powers (Austin Stowell) returning to the Americans. 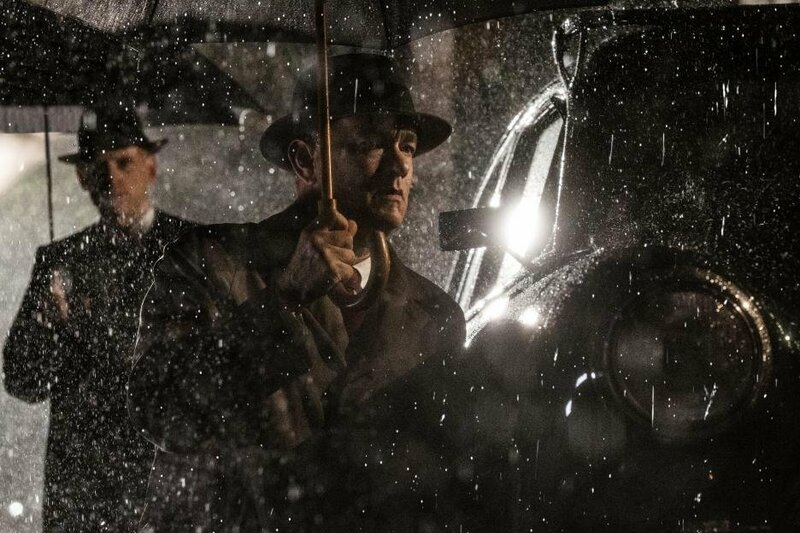 These are both great stories in their own rights, but since they’re combined to form one whole story that is Bridge of Spies, both tales end up losing a bit of dramatic juice. 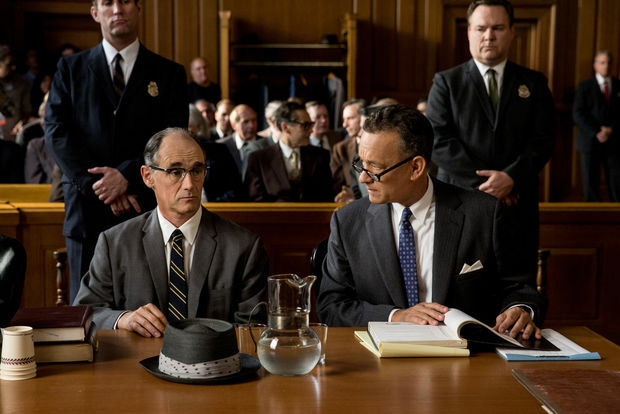 As Abel’s trial unfolds, the film imparts the impression that it will be a courtroom drama, but in reality, it shows very little scenes from the trial. Intertwined with the trial are brief sequences with Powers being briefed on his mission, and it becomes clear that the film really wants to get to the story of the prisoner exchange. 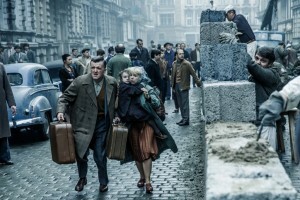 Before it can do that, it must portray the 1960 U-2 incident itself and also introduce Frederic Pryor (Will Rogers), an American graduate student being held prisoner in East Berlin who will soon become part of the exchange as well. However, the issue with this is that both Powers and Pryor barely register as characters, which means that they aren’t as compelling as Abel. As admirable as the story’s scope is, it has trouble balancing all the elements at play here, so it becomes stilted. Still, Spielberg deserves credit for managing to tell two lean stories – essentially stripped of their fat – in one film that lands its emotional punches. To offset all the drama arising from this series of events, screenwriters Joel and Ethan Coen (yes, the Coen Brothers) – revising an original script by Mark Charman – leave small pockets of humor, which the actors exploit to great effect. As expected, Hanks is a natural here, playing off his fellow cast members in a nonchalant manner to induce chuckles aplenty. 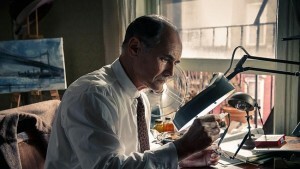 He also shares a delightful chemistry with Rylance, who’s absolutely superb and memorable as Abel. It’s he who actually gets the film’s biggest laugh-out-loud moments, with his quick-witted and sardonic tongue striking from a quiet, unassuming demeanor. No doubt, this is a technically immaculate film. Production designer Adam Stockhausen recreates three settings – all in the same period – in stunning detail: a bustling, cozy America; a frigid, severe Soviet Union; and a grim, snowy Berlin. Janusz Kaminski, frequent cinematographer for Spielberg’s projects, masterfully manipulates shadows to create atmospheric and beautiful chiaroscuro images. Thomas Newman’s score, emphatic with its use of stringed instruments, falls in line quite nicely with Spielberg’s hallmark sentimentality and proclaims triumph at the precise moments. Oftentimes with his films, Spielberg will deliver what he thinks his audience wants, but occasionally, he will deliver what he believes his audience needs to hear and see. 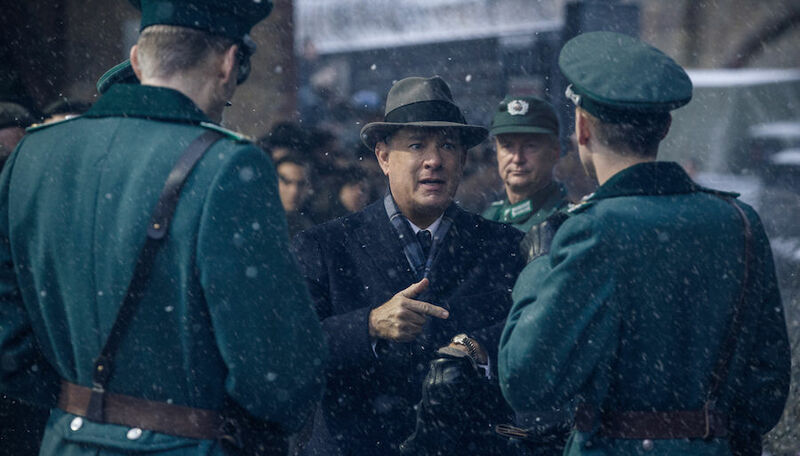 The latter fits his approach with Bridge of Spies, as its story – despite being set decades ago – speaks directly to us in our current political climate. Moving beneath the excellent actors, the humor, the thrill, and the painstakingly reproduced era is a spirit that champions what it means to be an American, something that Spielberg feels has been forgotten, even lost, by the very people who are defined by it. He seeks to return it, and he does so in the best way that he can: by making a movie.